Who are the big hitters in the bar industry? Who are the operators making trends and pushing design into the future? Who are the bartenders leading the wave of sustainable bar practices? Last night, at The Lobo Plantation in the city, the country’s leading names in the bar industry gathered together to find out who are the Top 10 Most Influential voices in their field. 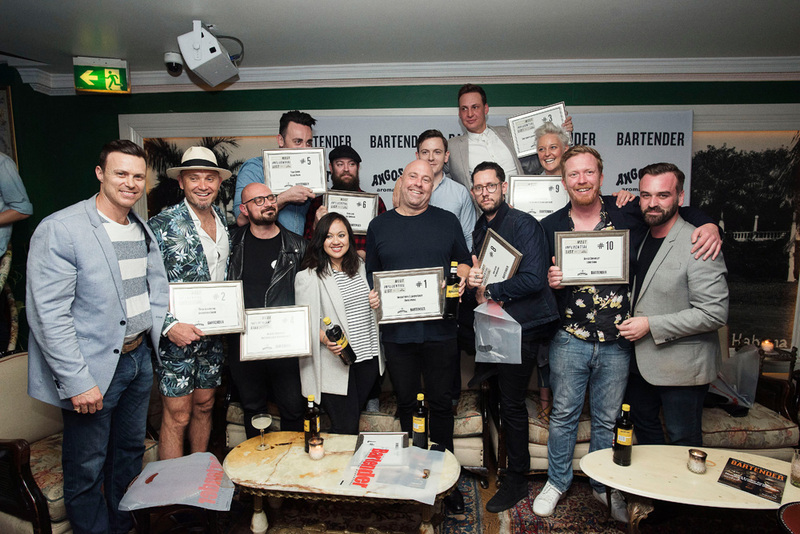 Every two years since 2009, Australian Bartender magazine, the country’s leading bar industry title, announces the Most Influential List, the Top 100 names from the bar industry; the people who have led the charge to make this industry the innovative and entertaining game it is. And again this year, a staple of the bartender arsenal, Angostura Bitters, is sponsoring the event, helping to make it bigger and better than ever. The Top 100 was voted for in an online poll by members of the bar trade, whittling down the thousands of potential names to just 100 (see full list below). This is a list of the industry’s movers and shakers, the big names who have lead the charge to make this industry the innovative and entertaining game it is. On the list this year are bartenders (of course), bar owners and managers, brand ambassadors, writers and party-starters. 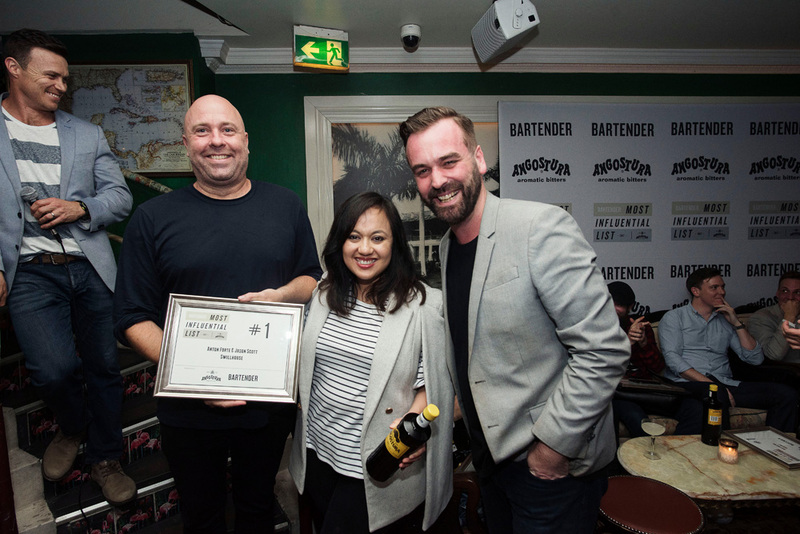 “This year we’ve seen the younger generation stepping up,” said David Spanton, publisher of Australian Bartender. “It just goes to show what an exciting era of drinking we have in this country right now,” he said. Last night the top ten was announced with Swillhouse’s Jason Scott and Anton Forte taking the top spot for the third time. This just goes to show how much influence their venues – such as The Baxter Inn, Restaurant Hubert and Shady Pines – continue to have. 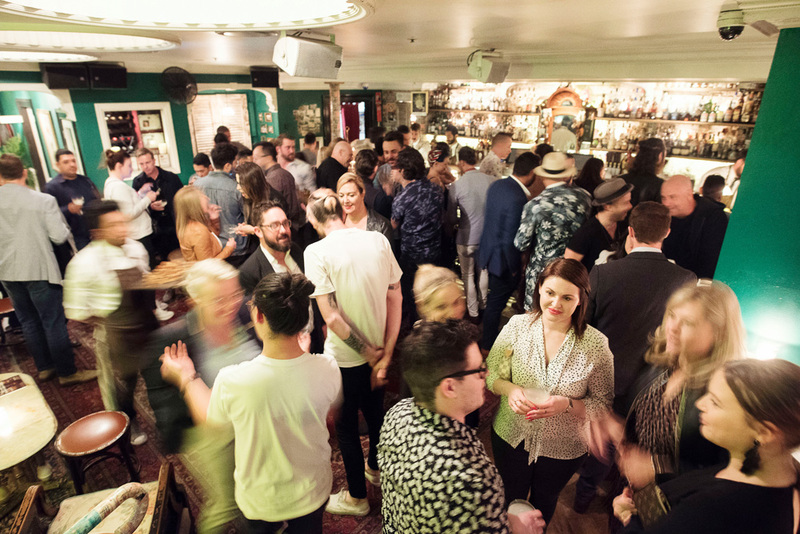 “Their philosophy of being humble and just good people has had a real flow on effect, and a very positive impact on the bar industry as a whole,” says Spanton.